Welcome, guest! 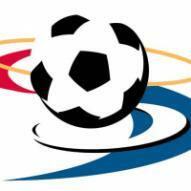 Please login or register for free to be able to join the football group and participate in the discussions. he plays better with barça! and don't you like messi? Of course, I am raised at the same hometown of Zlatan and followed him since he played for MFF but I always had a love/hate relation with AC Milan. I can´t stand Berlusconi as PM of Italy but he should concentrate on the club instead! do you follow Milan because of Ibra? No, I didn´t know there where a spanish version. have u checked the spanish version of qvaq?